Mamak stalls (hawker stalls operated by Indian Muslim) are cheaper alternatives to pubs and disco for spending nightlife in Malaysia. They are popular gathering places among the KL folks especially during the weekend. These stalls usually start to operate around 7pm onwards and they are cheaper alternative to expensive clubs and discos. Most of them are located by the street with tables and chairs being put up along the streets. These stalls are usually not covered. Therefore, if it rains, it’s going to be messy and you will need to move. 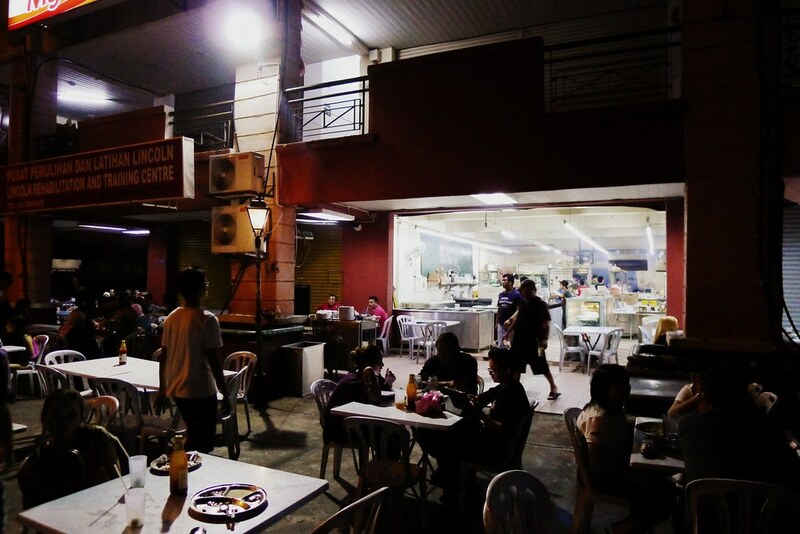 A typical mamak stall at night. Some popular mamak stalls are located in Bangsar, Wangsa Maju, and the KL downtown areas. The famous local dishes offered by mamak stalls are teh tarik (tea), roti canai (bread), mee goreng (fried noodle) and nasi ayam briyani (indian flavored chicken rice). In addition to the tasty dishes, these stalls usually have big screen tv which broadcast European live soccer matches. 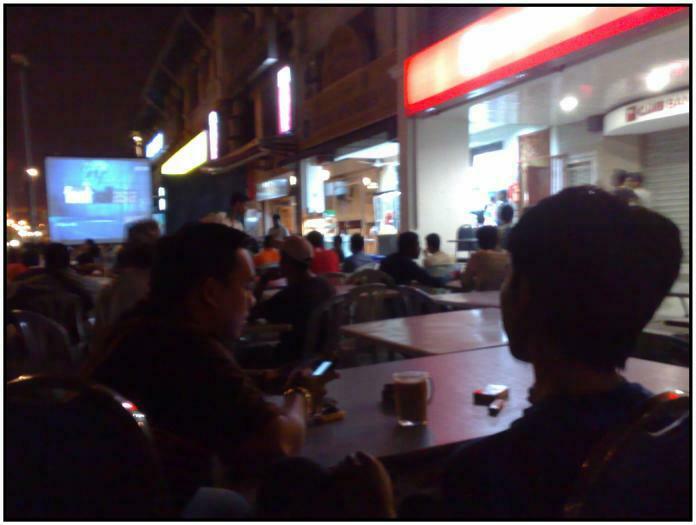 Therefore, most people tend to stick around the stalls late into the night watching free soccer games while sipping cups of teh tarik. If you have friends who are from Kuala Lumpur, you can probably ask him or her to take you to one of the stalls to experience the nightlife at these mamak stalls and also try some of the dishes offered. 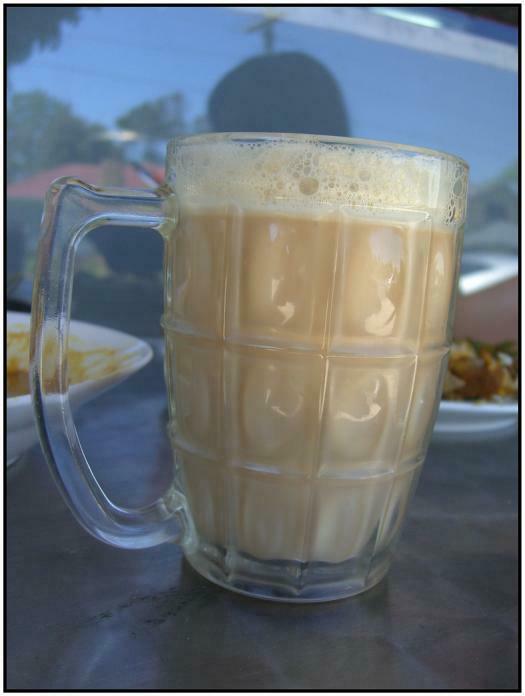 The teh tarik is one of the favorite drink of Malaysians at the Mamak Stall. You can visit the following link to see all of the pictures for Mamak Stalls. Other Food and Fruits in Malaysia That You Must Not Miss! Nasi Kunyit – Nasi kunyit or turmeric rice, after translated to English, is glutinous rice cooked with turmeric coloring and is usually served with coconut milk chicken curry or beef curry. Nasi kunyit is a famous dish not only among the Malays but also for the Chinese and Indian as well. Mangosteen – Regarded as the queen of fruits in Malaysia, the mangosteen is considered as a perfect balance to the rich “heatiness” of the durian due to the mangosteen “cooling” effect. Rambutan – The rambutan is a rather peculiar and yet popular fruit in Malaysia. Native to South East Asia, the rambutan is available throughout the year in Malaysia. Usually you can see heaps of rambutan for sale at fruit stalls by the streets. Interesting. I have read something about stalls earlier of course, but don’t remember if it was this one or not. What’s in the teh tarik…? Maybe you should participate in our monthly drink meme: Drinks Round the World next time, the 1st of July?